We look forward to answering any tree service questions you might have! 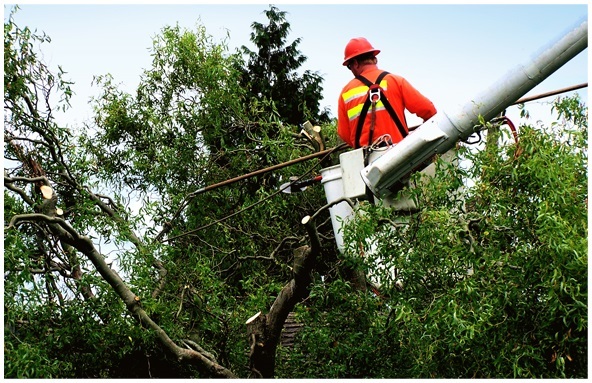 Here at Owens Bros. Tree Services we are noted as the top Bronx tree service provider since 1959. Some tree companies leave their tree debris behind for you or your neighbors to clean up, requiring you to complete the job! We never do. When our tree experts finish the tree service project we were called to do, we clean up your property as if it were ours, and we make sure your neighbors property is also cleaned so that you do not get an angry neighbor banging on your door. There is no reason to wonder why most Bronx property owners call our Bronx tree service company for all of their tree service needs? Owens Bros is the most sought after Bronx Tree company because we believe in total customer satisfaction, safety, and affordability so that you can get the tree care you need! Our tree company can help you with tree trimming, stump grinding, tree removal, emergency tree care, and any other tree care or tree service you may need. Our local customers want beautiful trees, and we want to keep the Bronx full of happy trees that give us shade and clean air. That’s what our community needs! And that is why we love what we do. Call us to find out why people trust us for all of their Bronx tree service and tree care needs.